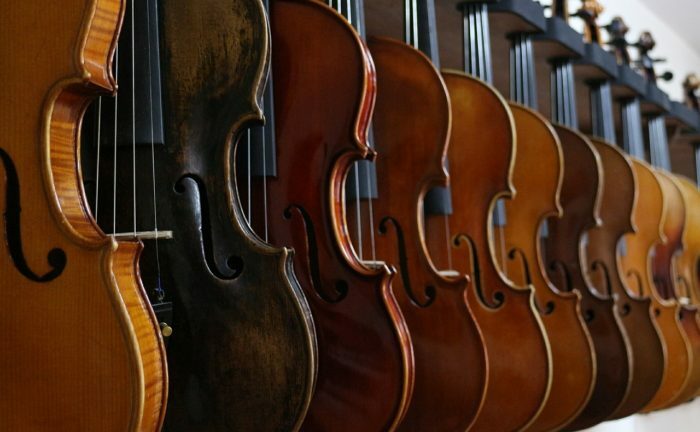 The Mansfield Symphony Youth Strings will present its Spring Concert of the 2018-2019 Mechanics Bank Education Series on Sunday, March 24, 2019 at 3:00 PM on the Renaissance Theatre stage. Under the direction of Matt Domka, the event will feature a program of delightful works played by the string orchestra. The program will include Amazing Grace by Sean O’Loughlin, A Nordic Lullaby by Edvard Grieg, Cakewalk by Norman Leyden, Danza by Vaclav Nelhybel, Mock Morris by Percy Grainger/arr. by David Giadiniere, Annie Laurie arr. by David Bobrowitz and The “Billy Tell” Overture by Gioacchino Rossini/arr. by Richard Meyer. Conductor Matt Domka began playing the violin and piano at the age of seven under the tutelage of Mrs. Elva Newdome and Mrs. Deb Bellamy. In 9th grade, he began studying with Ohio State University Professor, Michael Davis. Mr. Domka was a six year member of the Mansfield Symphony Youth Orchestra, under the direction of Mr. Ettore Chiudioni, and participated in both regional and state orchestras throughout his high school years. Matt competed yearly in the Ribbon and OMEA festivals, as well as numerous OMEA competitions for both violin and piano. In 2004 Mr. Domka graduated from The Ohio State University with a Bachelors of Music Education with a specialization in String Pedagogy. While at The Ohio State University, he continued his violin studies with Professor Michael Davis, studied String Pedagogy with Dr. Robert Gillespie and played under the baton of Professor Marshall Haddock. This is Mr. Domka’s 5th year as director of the Mansfield Symphony Youth Strings. Mr. Domka is currently an orchestra teacher with the Mansfield City Schools for the high school, middle school and spanish immersion schools. He teaches a private violin and viola studio. When time allows, he may be found playing with the Mansfield Symphony Orchestra, playing gigs with his family’s string quartet and spending time out on the soccer fields with his children. Matt and his wife, Tami, have three children, Makenna age 13, Mitch age 11 and Gavin age 10. They attend the Apostolic Christian Church on Middle Bellville Road. Tickets are on sale now for this concert at the Renaissance Box Office, via phone at (419) 522-2726, and online at MansfieldTickets.com. General admission is $10 with Student tickets at $5.00. The Mansfield Symphony Youth Strings Fall Concert is presented in part thanks to funding from the Ohio Arts Council.